Eutelsat powers StarTV launches DTH throughout Mexico. 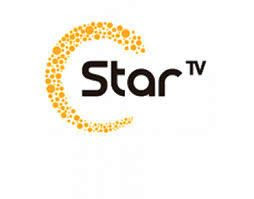 Star TV is going to launch a full fledged direct to home TV service Pay tv DTH service in Mexico authorized by Eutelsat Americas. Star Group is a new platform in the Mexican state of Zacatecas and other parts of the country begin later this month, instead of TVZac platform. To support the expansion in DTH, StarTV signed a multi-year contract with Eutelsat capacity in the Americas Eutelsat A 117° West and Eutelsat B 117° West satellites. "Thanks to the reform by the government of Mexico and the unity of the IFT carried out to promote competition in the telecommunications sector, there is a possibility to a satellite alternative TV services to offer," said Julio Di-Bella, CEO of Star Group. "Eutelsat is an important ally, and the coverage and capacity we need to ensure the best service for our customers, today and in the future." "The development of DTH services in America is a strategic objective for Eutelsat. We are pleased with the confidence of StarTV as a new fth TV player in Mexico to win and enjoy the choice for the development of pay-TV services in Mexico, "said Patricio Northland, CEO of Eutelsat Americas. The new platform will start with an offer of 50 channels, and to increase its portfolio of both Mexican and international TV networks gradually.